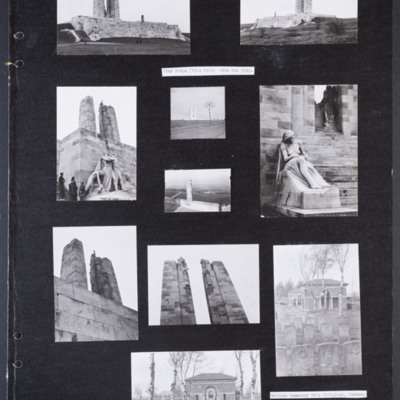 Photographs of Kenneth Grant Ramsay's gravestone in Germany. 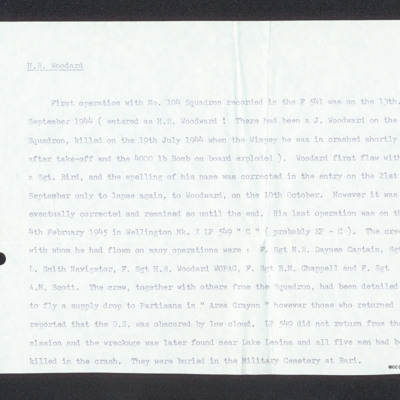 A letter to Mrs Winifred Ramsay referring to the death of her son, Kenneth Grant Ramsay and giving details of his final resting place. 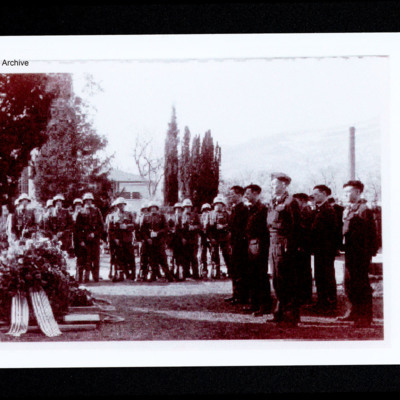 Item 1 is a photograph taken during the service. 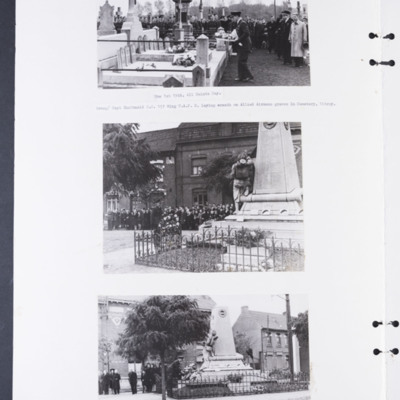 Item 2 is a photograph of the unveiling of the Union and RAF Flags. The Graves of John Graysham and Albert James Berry Captioned 'The graves of Johhny and Red Berry'. 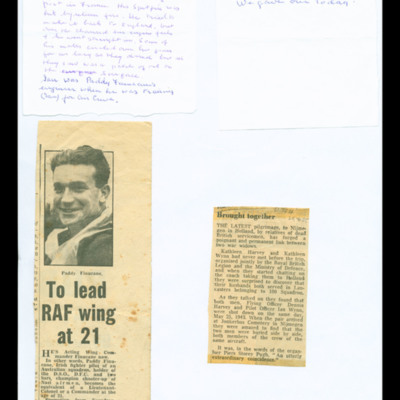 Roy Maddock-Lyon's Caterpillar Club membership card and a newspaper cutting about the Caterpillar Club. 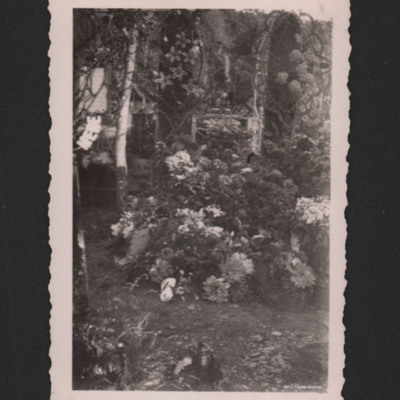 Item 1 is an image of the graves of F/O Grayshan and Serg Berry, captioned 'The graves of Jonny and Red Berry'. 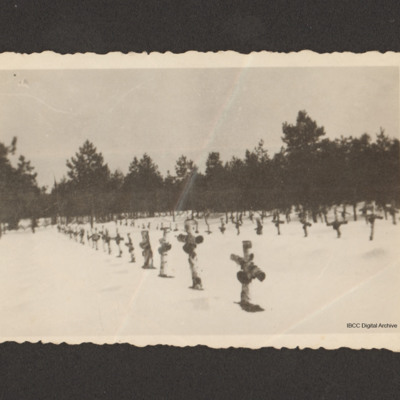 Rows of graves on a snowy landscape at the edge of a wood. The crosses are wooden and lashed together. 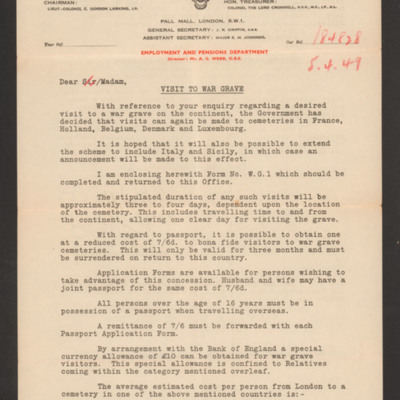 Explains rules for visits to war graves on the continent. Contains information on length of visits, obtaining passports and possible financial aid. 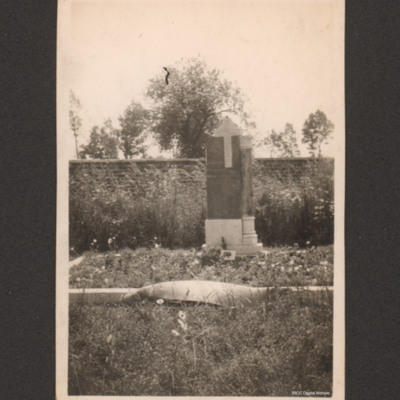 Single large grave stone at Bourguignon-sous-Coucy, near Blérancourt, with large area in front surrounded by stone edging. In the background a brick wall with trees behind. 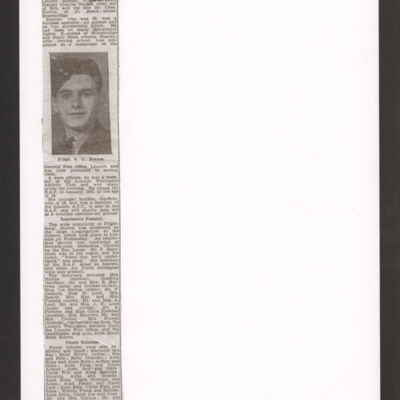 A newspaper cutting announcing the death of Stanley Norton. 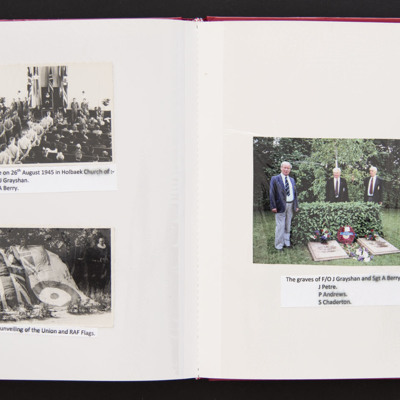 There is a brief description of his life before and during the war. 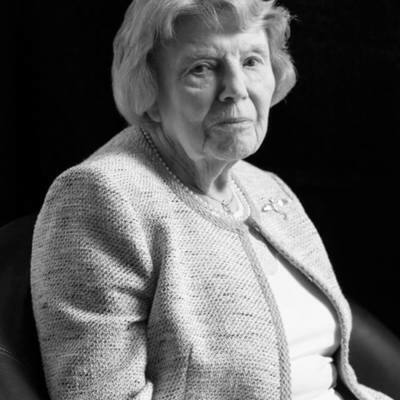 There are details of his funeral at Lincoln and floral tributes. Photograph 5 and 6 are of an Ar 232 with RAF Roundels. 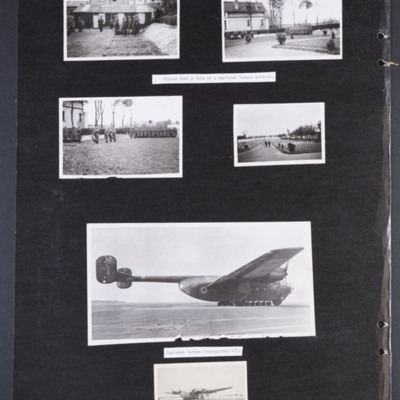 They are captioned 'Captured German Transporter A/C'. Photograph 3 and 4 are six airmen sitting on the barrel of a Tiger tank. A cross on a grave inscribed 'S. Englische Flieger Namen unbekannt'. In the background other crosses and trees. 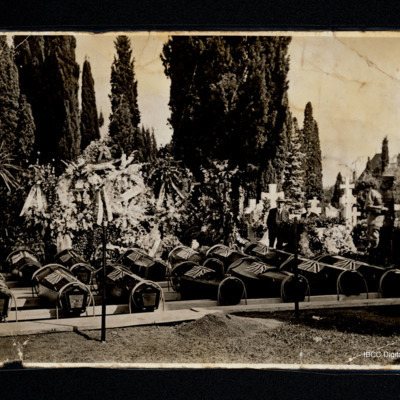 Six of Jack Benson's crew stand beside his coffin. In the background Swiss army. 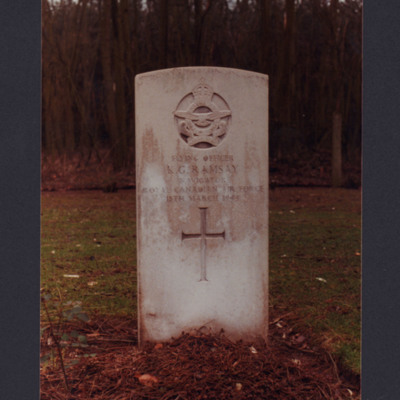 On the reverse 'Funeral P/O Jack Benson Vevey 1944'. Chaplain, mourners, Swiss military and Royal Air Force officer at the graveside for the funeral of the 14 airmen. 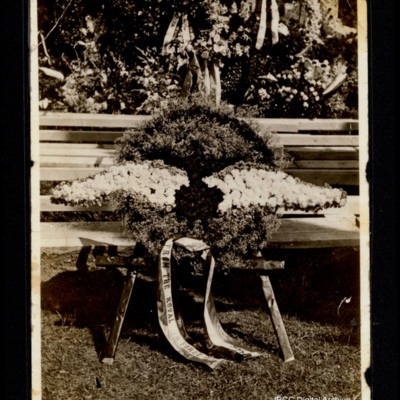 Floral wreath in the form of wings and having ribbons with Royal Air Force printed. 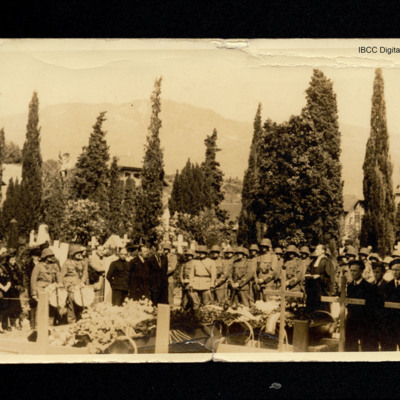 Part of the funeral for the 14 airmen lost over Switzerland.